Talat-Farooq Awan has been working in Radio and Television for over twenty years. He is currently a Senior Broadcast Journalist for BBC Radio Manchester and BBC Radio Lancashire. He presents the regional news magazine show Indus and produces the award winning North West Late Night Phone-In. In Television he has worked on variety of documentaries for BBC News & Current Affairs, BBC Religion & Ethics, BBC3 and ITN – Channel Four. 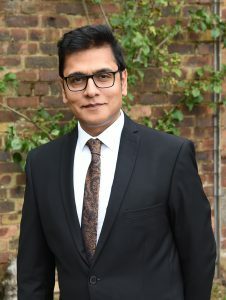 His radio journalism career started at Essex FM he then went on to work at the BBC Asian Network. He mentors trainee journalists and also works for charities like Hashim Welfare Hospital and Gateway Schools based in rural Pakistan.